Moonroof, Satellite Radio, ACCESSORY PACKAGE 2, Aluminum Wheels, Back-Up Camera, Premium Sound System, Hybrid. EMINENT WHITE PEARL exterior and CHATEAU W/ STRIATED BLACK TRIM interior, ES 300h trim. EPA 45 MPG Hwy/43 MPG City! AND MORE! ACCESSORY PACKAGE 2 Cargo Net, Carpet Trunk Mat, Rear Bumper Applique, Key Gloves, Alloy Wheel Locks. 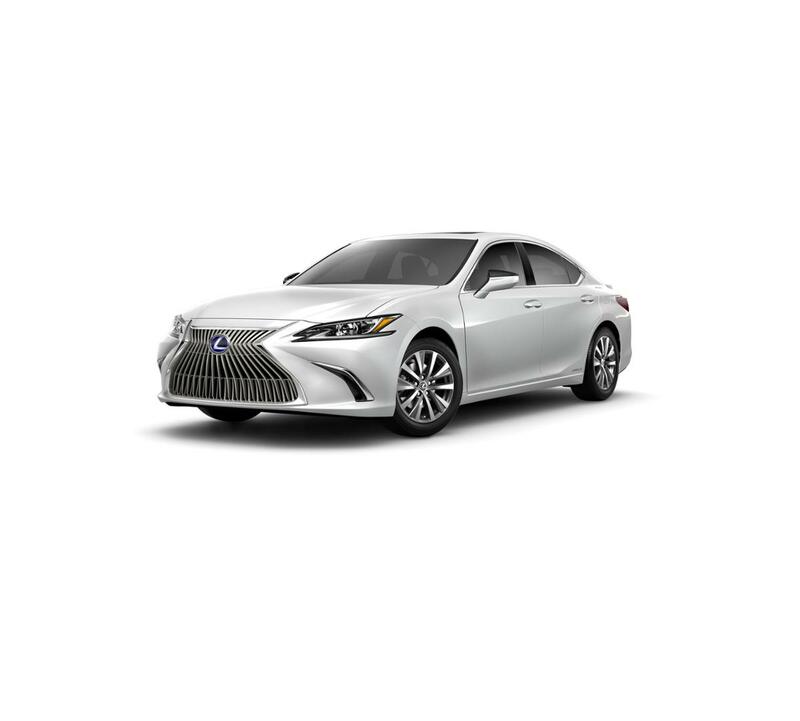 Lexus ES 300h with EMINENT WHITE PEARL exterior and CHATEAU W/ STRIATED BLACK TRIM interior features a 4 Cylinder Engine with 215 HP at 5700 RPM*. KBB.com's review says "The all-new 2019 Lexus ES has an aggressive new look, improved performance and a new attitude, but the sedan continues its reputation of being quiet, comfortable and reliable.". Great Gas Mileage: 45 MPG Hwy. At Lexus Santa Monica in Santa Monica, we have the new and used vehicles you have been looking for! This Eminent White Pearl 2019 Lexus ES 300h , is available right now at your Santa Monica Lexus dealership. Call us at (424) 229-9998 if you have any questions about this Lexus or any of the other vehicles at our Santa Monica Lexus car dealership.